itacare | La même lune. I do want to talk about the places I have been to, other countries etc, but Brazil is pretty big and, honestly, quite awesome, so why not talk about the places I have visited HERE? I will first talk about Bahia. Bahia is a state here in Brazil, it is located on the northeastern part of the country and the state is known for several different factors. The word ‘Bahia’ roughly translated means simply ‘Bay’. The state of Bahia is a tropical place with amazing beaches and cool places to visit, a bunch of things to do from Carnaval to snorkling and diving. Important : Bahia has some extremely dangerous and violent cities but I chose to overlook that in my post. I wanna focus on all the good parts. One of the best known cities in Bahia is probably Salvador. They have one of the biggest Carnaval celebrations and well known places like o Pelourinho. Some famous people are from Bahia: Ivete Sangalo, Gilberto Gil, Caetano Veloso etc. So obviously, Bahia is full of music, dancing and happiness. Bahia is samba, axé (brazilian music-dance style) and capoeira. They have the greatest and most distinctive African imprint. But around here, Bahia is mostly known for the way that all the Baianos (people from Bahia) live. They are calm, relaxed, happy. Some people tend to mistake that for LAZINESS, and I think that’s absurd. Once you get to know people there, you see they work hard, sometimes even harder than you might imagine. It’s a bit like the concept Americans have with Mexicans. Some insist on saying they are lazy when in reality, they work extremely hard everyday. Baianos can bring joy to every place they set their foot in. They are just joyful people like that. I mean, a place with a warm weather almost all year long, amazing people, traditions, dancing and music, AMAZING food, by the way…how could you NOT be happy? The thing about Bahia is that it might not be a perfect place, but it helps if you smile. I’ve always thought that was the most amazing trait about all Brazilians. Starting in Bahia, I guess. So, last year, I went to a place called Praia do Forte. It is located about 50 km from Salvador. You should Google it if you want more info about it, because the address I linked it to, is Portuguese only. Praia do Forte is just amazing. There are little shops you can buy things from. It goes from ceramics and hand made things to 100% cotton made dresses and expensive clothes. A lot to choose from. They have natural pools. Gorgeous beaches. And a lot of good hotels to stay at. 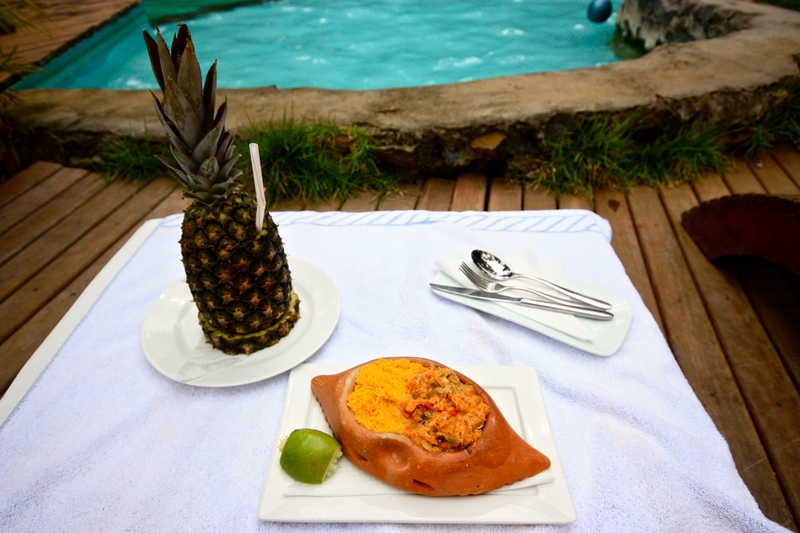 Besides, you can just lay back and relax, drink some caipirinhas and eat some acarajé. The ladies who cook the typical foods in Bahia, wear this very specific set of clothing. I enjoyed my stay at Praia do Forte quite a lot. It was only a bit over a week but i felt oh-so relaxed, that i decided I would not stay away from Bahia too long. So THIS year, I went to Itacaré. Itacaré is a city about 1 and a half hours from Ilhéus. When I thought that Praia do Forte was the best thing ever, I went to Itacaré. And don’t take me wrong, Praia do Forte is BEAUTIFUL, but I think I have to admit that I liked Itacaré that much more. I stayed at a Eco Resort (Itacaré Eco Resort site). It was such a pleasant stay. When we (me and my mom, who I love traveling with, btw…) got there, we were welcomed with two coconut waters served in the coconut, as it is very common here. The people who worked there were so well trained to attend all the guests needs, they were so nice, so talkative, happy, fun. Since day one, we felt at home. I am not exaggerating. In Itacaré, there are a whole lot of things to do. There was this big surfing championship. There a lot of different beaches, and one is more beautiful than the next. In one of the beaches we went to, we did this thing called Arvorismo, which I believe is called Adventure park, in English. Anyways, at the end of it, there was a zip-line that passes right above the beach of Ribeira. It is the best feeling in the World, I think. This is NOT my video. Anyways. The adventure park thing had 27 steps and it was very exhausting but so much fun at the same time. And having that zip line at the end of it all, it just makes it that much more worth the effort. 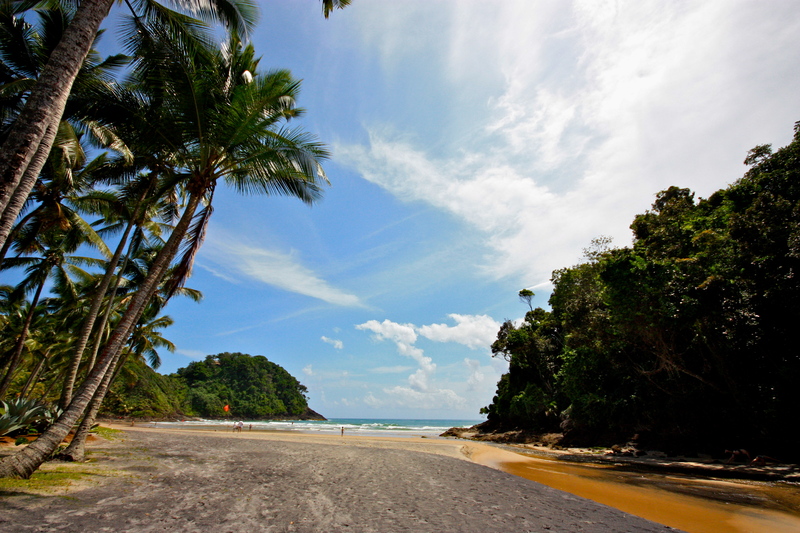 Then, there was this beach called Tiririca. That was probably my favorite beach because there was a skate ramp, a bunch of surfers, hostels, and kids (and adults, too) playing on a slack line. It was an amazing atmosphere. The water was warm, and calm. Everyone was just chilling on the sand, watching surfers, doing their thing… I think I would probably live there. I’m serious. I wanna raise a kid there. hahaha. At the hotel I stayed at, there was also this private beach. I surfed there. But with a longboard, whatever… It was fun though. 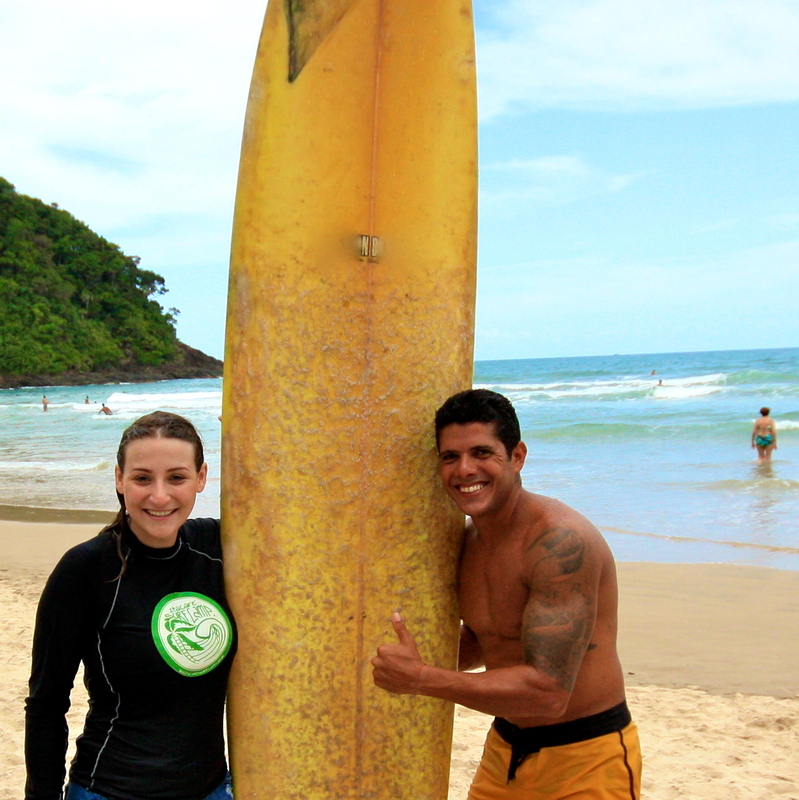 They have waiters who bring you food on the beach, they have activities like yoga classes, surf lessons etc. The downtown of Itacaré was very fun. They had a lot of little shops with local products, clothing, necklaces, ceramics. Good restaurants and bars. Happy people. Of course, happy people. 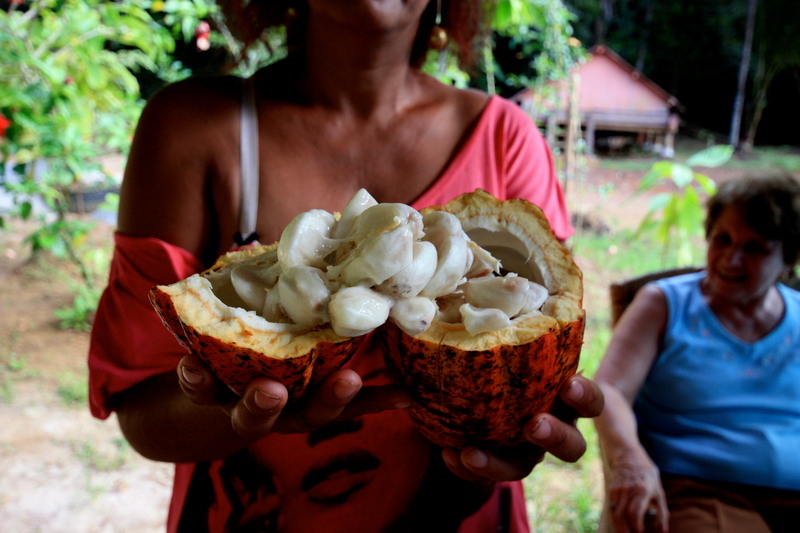 Itacaré is best known for Cocoa. So, they have everything made of cocoa, from chocolate, to jam and coffee. There is so much more I can say about Itacaré, but I will just leave you with some pictures, and tell you to VISIT this beautiful place if you ever come to Brazil. It is SO worth it and you will not regret it. Pineapple cocktail and a sort of ''small' crab meat dish. (Casquinha de Siri) by the pool. PARADISE.